Peridot is the vibrant yellow-green gemstone variety of the mineral olivine. It is usually found in volcanic rock deposits that are rich in iron and magnesium. The iron in peridot’s chemical composition causes its unique yellow-green coloring. This gemstone’s color range is very limited and includes brown-green hues to more yellowish-green and saturated solid green. The yellowish variety of this gemstone is the one most often used in fine jewelry, but any shade of this vibrant gemstone would make an amazing custom creation! Peridot is deposited worldwide and does occur in the United States, it can be found in Arkansas, Arizona, Hawaii, Nevada and New Mexico. Throughout history this gemstone has been confused often for other green gems, several notable times for emeralds. 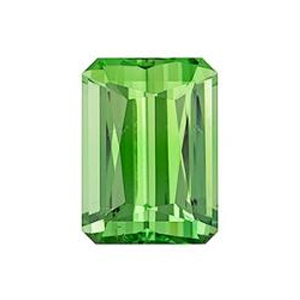 It is even speculated and Cleopatra’s famous emerald collect was actually green peridot. 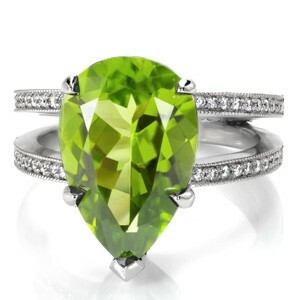 Peridot is believed to be a gemstone talisman for protection. Superstition aside, this sentiment tied to peridot would make it a meaning center stone in any one of custom creations! 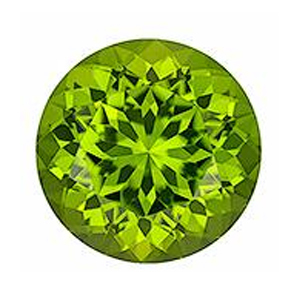 Peridot holds an average gemstone hardness of 7 on the Mohs Scale. It is not as durable as diamond or sapphire, so if you choose to set a peridot into one of our custom ring settings, it would need to be worn with care and might not be suitable for everyday jewelry. 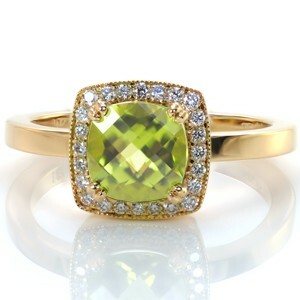 However, this glowing yellowish-green radiant cut gemstone shown here could make a stunning right hand ring. 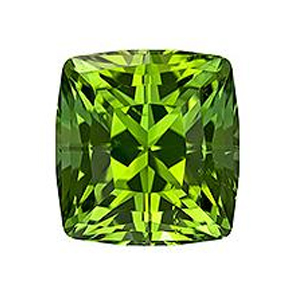 The featured magnificent green peridot option is currently available on our online gemstone list, and is just waiting to be made into a custom created work of art! Let us at Knox Jewelers help you design a custom created piece of jewelry holding the lovely green radiant cut peridot featured here or any other available option on our gemstone list. Contact us today to get started! Our new favorite custom created engagement ring is getting us all twisted up here at Knox Jewelers. This recent custom creation features a high polished white gold and u-cut diamond band braided together into a twisted masterpiece. The central three stone trellis is re-imaged with unique pear shaped diamonds paired on either side of the center stone. This incredible design displays a round brilliant cut diamond at its center held by a one-of-a-kind diamond band. Knox’s ability to bring any dream engagement ring to life is illustrated in this stunning custom piece. A modern update to a classic three stone trellis, Design 3511 is a timeless design that is sure to be in style for years to come. Knox hand finishes and outstanding craftsmanship will ensure that this white gold and diamond engagement ring will last a lifetime. Every ring at Knox Jewelers is made by hand from the ground up. We are extremely proud of our in-house design team that works tirelessly to add even the smallest details to your perfect custom engagement ring. We document the creation of our custom piece with jeweler’s eye view production photos, allowing you the chance to see your beautiful ring come to life. This extraordinary white gold, pear cut and round cut diamond ring design can be recreated to accommodate any type, shape, or size center stones. Contact Knox Jewelers today to custom tailor this design to your preferred precious metal and central gemstone selection to create your own one-of-a-kind engagement ring! A distinct gemstone compared to other specimens, alexandrite is famous for its dramatic color change. Large deposits of this gemstone were first discover in the Ural Mountains of Russia in the 1830s. It was named for the then current heir the throne, the young Alexander II. These first alexandrites were of outstanding quality and displayed an impressive color shift in vivid hues. 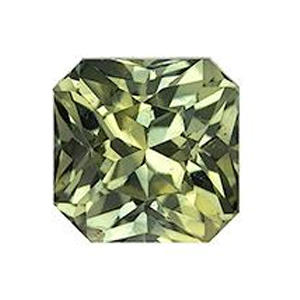 The remarkable Ural Mountain deposits did not last forever, but these first examples are this the premium that all other alexandrites are compared to. Today this gemstone can be found in Sri Lanka, Africa and Brazil. Alexandrite is a rare variety of the mineral chrysoberyl. 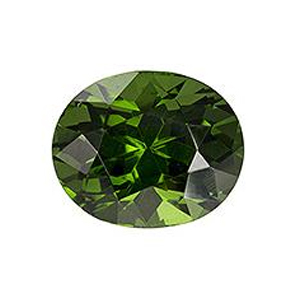 The gemstone is a charming green hue in daylight and shifts to a purplish red in incandescent light. This chameleon like ability result from the way alexandrite crystals absorb light. This gemstone has famously been labeled as an “emerald by day, ruby by night”. Other gemstone are know to shift hues like alexandrite, but few are as extreme. 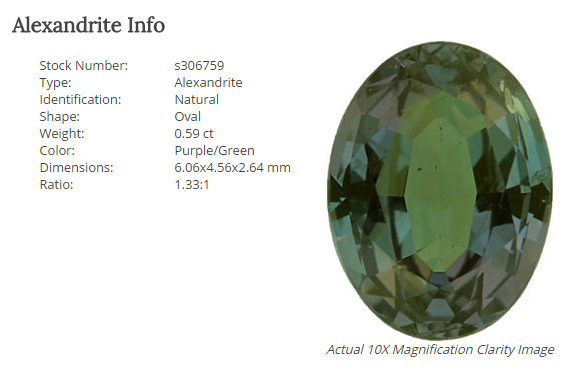 Alexandrite holds an average gemstone hardness of 8.5 on the Mohs Scale. It is not as durable as sapphire or diamonds, but alexandrite would fair well in most custom engagement ring settings or any other custom creation you desire. The dazzling alexandrite shown here would make a stunning one-of-a-kind right hand ring or colored gemstone engagement ring. This alexandrite options is currently featured on our online gemstone list, and is just waiting to be made into a custom created work of art! Today, alexandrite is a rare gemstone, nearly never found in large carat sizes. Its scarcity does mean that natural gems will come with a cost higher than that of more common gemstones. Though natural examples are breathtaking, we also offer lab created options that display a similar color change effect. Any natural or lab created gemstone can be set into any one of Knox Jewelers’ custom creations. Let us at Knox Jewelers help you design a custom created piece of jewelry holding the rare natural alexandrite featured here or any other available option on our gemstone list. Contact us today to get started! Design 3506 is a rosy-hued masterpiece and the newest addition to our ever-growing collection of custom created engagement rings. At Knox Jewelers we create every engagement ring from the ground up to ensure each is one-of-a-kind, such as Design 3506. We have had several requests in the past year for custom designs featuring this unique blush toned gemstone. This custom ring focuses the perfect amount of attention on the gorgeous oval cut center morganite. It is held in a full bezel setting and framed by a glittering diamond halo. The milgrain edging surrounding the oval stone gives a vintage inspired edge to this current setting! This custom design centers around an on-trend oval cut pale pink morganite, but any shade center stone would look amazing is this unique custom design. The petite rounded band and textured diamond halo give this ring a timeless and elegant look. Knox’s ability to take any inspiration, including a gemstone request, and transform it into your dream engagement ring is illustrated in this custom piece. Design 3506 is the perfect example of how a colored center stone can make an extraordinary and unique engagement ring. Knox hand finishes and outstanding craftsmanship will ensure that this halo engagement ring will last a lifetime. This colorful oval diamond halo engagement ring can be recreated to accommodate any type, shape, or size center stones. Contact Knox Jewelers today to custom tailor this design to your preferred precious metal and central gemstone selection to create your own unique engagement ring! Pantone, the unrivaled expert on color and color technology, recently unveiled their selection for the 2017 Color of the Year. 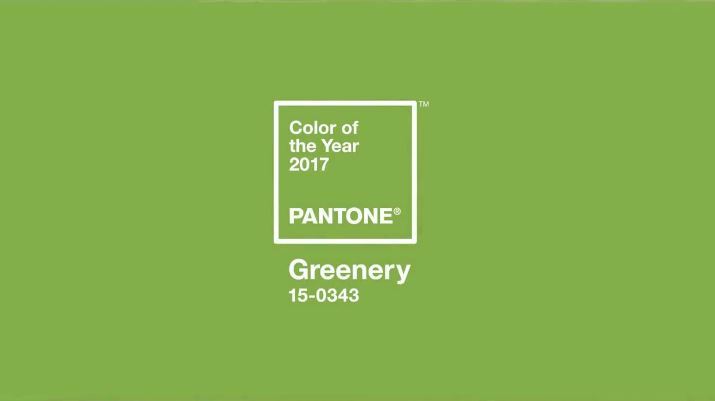 Every year, the Pantone Color Institute announces a single color that they feel will represent the mood of the upcoming year. This prophecy strongly influences all aspects of the design world including interior and fashion design. This year’s hue, greenery, has already started to appear in home furnishings, fashion collections, and most importantly jewelry design. 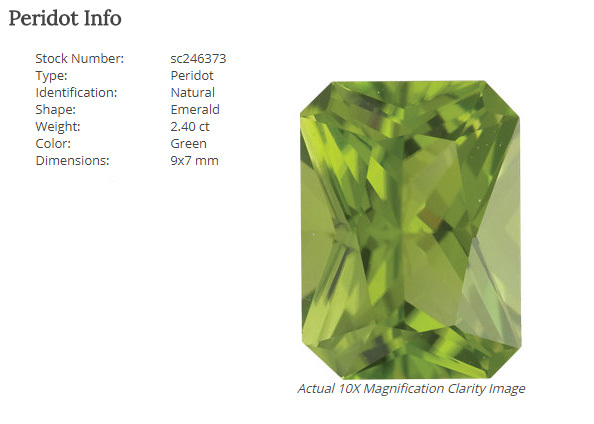 This nature-inspired color has already been utilized in a small number of Knox Jewelers’ recent custom ring creations. Greenery is described as a refreshing and zesty yellow-green hue that brings to mind the first day of spring, when nature’s foliage is all around. It is a life affirming color that makes us long to be immersed in nature. Greenery is also a shade that represents passion and vitality. This intense hue can be found in several gemstone options. Any of the gemstones featured below can be set in your one-of-a-kind creations! Fancy colored sapphire can be found with green coloring in many tints and shades, and is the only gemstone featured below that we recommend for use in engagement rings. Let Knox Jewelers help you create your own custom created jewelry with one of your favorite 2017 Pantone colored gemstones! There is an abundance of green-hued gemstone options to serve as inspiration for your next heirloom piece of jewelry. Now is your chance to create a work of art with the colors that represent the year to come. If you are looking to design a piece that will be cherished for a lifetime by your loved one, we are here to help. Knox Jewelers specializes in unique custom jewelry designs and engagement rings. Greenery inspired gemstones in any shape or size can be added to one of our custom created jewelry designs for a one-of-a-kind look! Contact Knox Jewelers to find out more about our products or services, including our custom jewelry design. Let us help you to be on-trend with your jewelry in 2017. We look forward to hearing from you! admin on How often will my white gold ring need to be rhodium plated? Shelagh on How often will my white gold ring need to be rhodium plated? admin on Pave? or Micro-Pave? mike m on Pave? or Micro-Pave?